We lost Neil Simon on August 26th and we wanted to celebrate the life of this brillian playwright who brought joy to theatre audiences around the world for over five decades on this week’s Dress Circle (9/30 7:00). Simon is probably best known for his plays and comedies like The Brighton Beach Trilogy and “The Odd Couple,” but he’s also a perfect subject for The Dress Circle since he penned several books for musicals. Join us this week as we sample selections from those shows including “Sweet Charity,” “Little Me,” “They’re Playing Our Song,” “Promises, Promises,” and “The Goodbye Girl.” Don’t forget to visit us on Facebook and look for our webcasts of past shows! 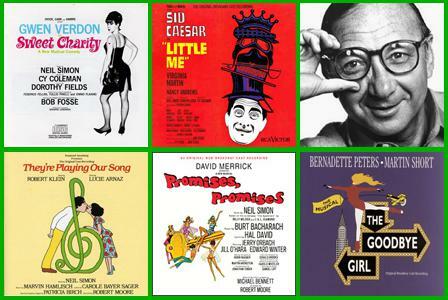 Listen to a program of selections from musicals that had books by Neil Simon.